I made a dessert for our family meal Sunday. 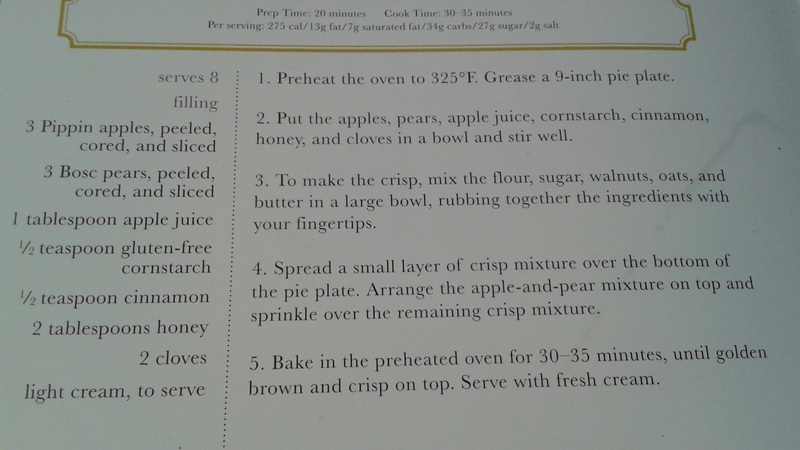 is always great for finding fresh apples and pears to use in such things. I bought this book some time ago at Barnes and Noble in the sale racks. I think I paid about $8.00 for it and it is fabulous! If you are looking for a good Gluten Free baking book this is a great choice. 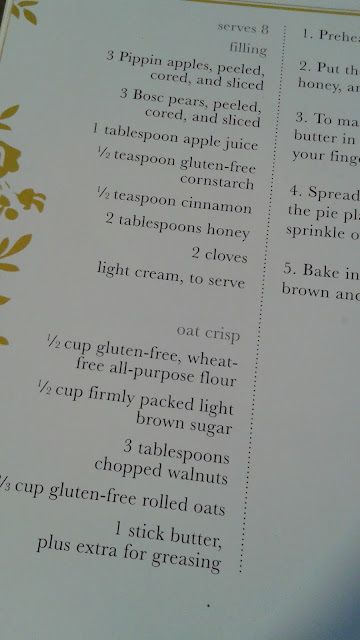 It uses basic ingredients for all the recipes so you don't have to have more than a gluten free flour instead of wheat flour. It is super easy to find gluten free flour these days, too. I used the Bob's Red Mill Cup4Cup GF flour for this one. It also has a section in the front with how to make your own blends. 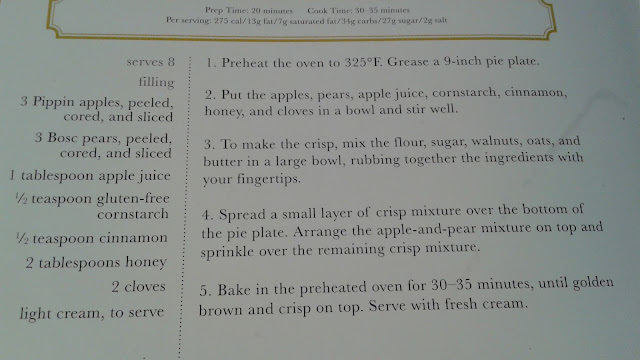 This is the one I chose to do yesterday and I used Bob's Red Mill GF Oats and Cup4Cup Flour. Anywhere you are told to use a cornstarch you can also use a tapioca starch/flour instead. My recipe was doubled from what he made. you could also add some dried or fresh cranberries or blueberries if you want. 1/2 cup coconut oil instead of butter for my fat. I did not put any of the oats on the bottom and my dish is well seasoned so it needed no oil to keep it from sticking. This is how it turned out... a great Autumn dessert for a Sunday dinner occasion or anytime, really.